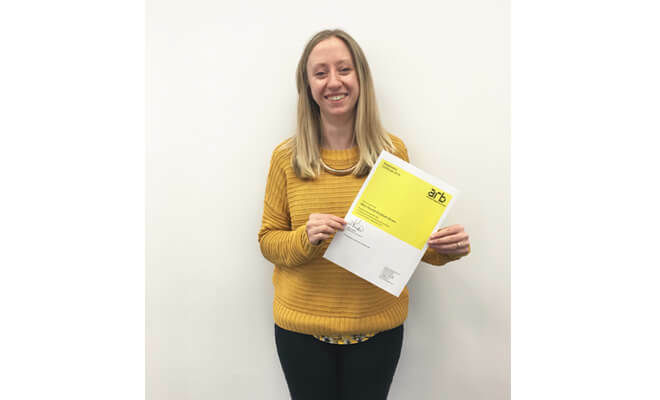 Congratulations to Rachel Brown from our Edinburgh Office who passed her Part 3 Professional Architectural Exams last month. Rachel completed her Undergraduate and Masters course at Robert Gordon University, Aberdeen and has been with AT since graduating in 2014. She went on to complete her final ‘Part 3′ course at ESALA during 2017 and has this week received her certificate with her name now added to the list of registered Architects held by Architects Registration Board (ARB). From everyone at AT, we want to congratulate you on all the hard work to achieve this and wish you all the success in your future career as an Architect.